This walk is a 10am start. I dont normally bother with petitions, which overall are ineffective. But I am making an exception in this case. I know the family of the young man concerned,have met him on a few occasions and would like to encourage him. His aim of trying to reduce litter is , I am sure , one we are all in favour of. I am bringing the topic to your attention in case you feel its one you might feel able to publicise via RA/ DFBS websites. Make education about littering and its effects compulsary in all schools. My name is Osian, I am 17 and have Autism and anxiety. I have volunteered in the Peak District for 4 years. The peace of the moors has saved my life and I want to do all I can to protect them. The epidemic of littering and fly tipping is ruining the countryside and is a danger to wildlife. I am the National Trust Youth Volunteer for 2018 and want to use my award to promote my campaign. I believe that the only way to make a real difference with litter is to start with children. I hope that they will grow up and teach people around them to also not drop litter. What we learn as a child we never forget. I want every child to participate in an education programme that will result in a Certificate from the Government and sign a promise to not drop litter and look after their world. 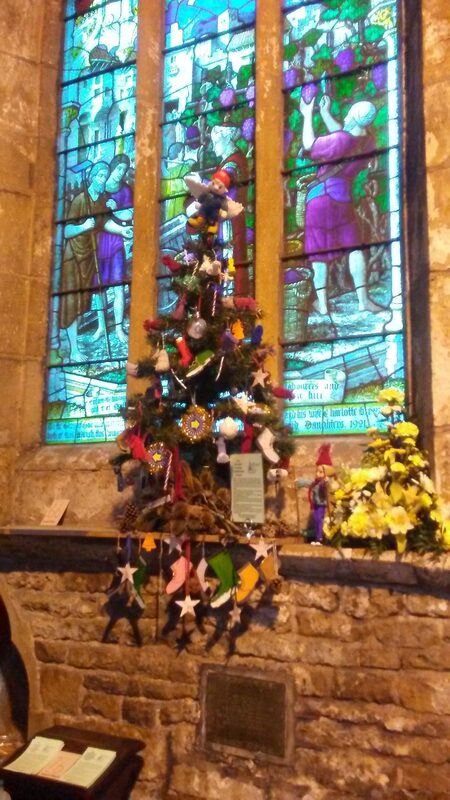 Dronfield Parish Church is having a Christmas Tree Festival, 30th November to 9th December. DFBS is taking part. Our tree is now up and decorated, so please pop along, and have a look at this, plus 99 others! We have had some absolutely superb decorations made by many of our members, thank you all very much. 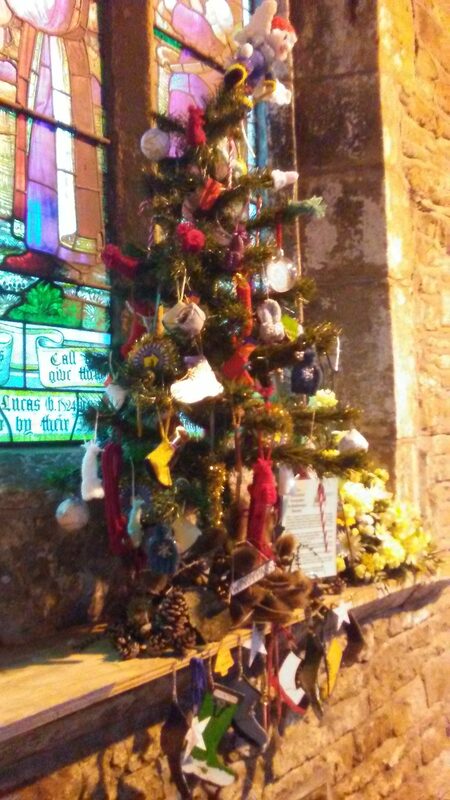 We had great fun decorating it, so your task now is…..go to the Church and find it! Anyone with an hour or so to spare will be very welcome to join the band of our members who are already stewarding….and close by the tree are some cards to hand out to any prospective joiners to our walking group. The Winter Programme, first walk Tuesday October 16th, has been posted on all (?) the local notice boards….it’s bright orange. If you know of a notice board that still has a Summer (green) prog, and not an orange Winter one, please let me know. I will get one pinned up. 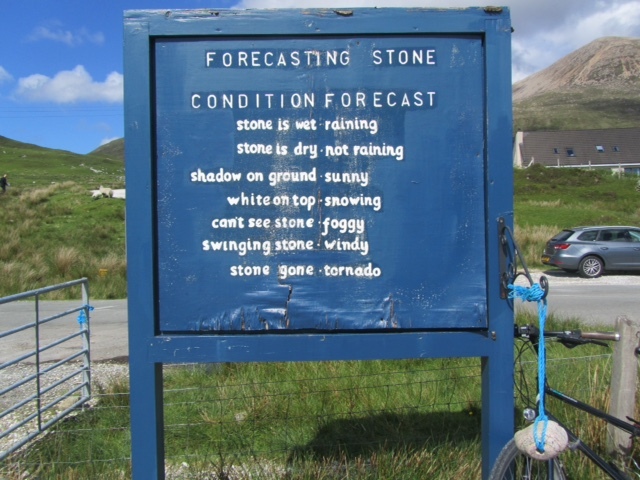 Where should we have one of these on our footpaths?